Featuring the classic Disney characters in big, colorful snap-together pieces, these building toys will provide hours of imaginative and memorable play. With no small pieces, Mega Bloks Disney is ideal for even the youngest Disney fan. 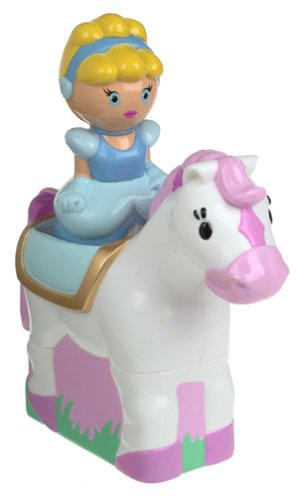 Size (inches): 7.72" X 5.00" X 10.91"
Create a fairy tale palace, with Cinderella and her enchanted pony. 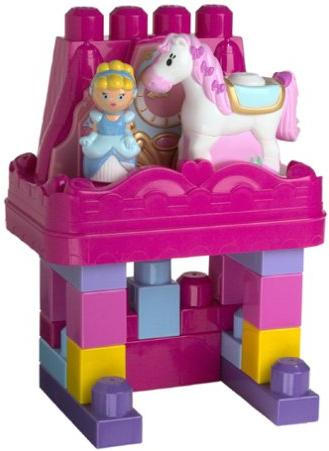 Lovely pastel-colored blocks and an easy-to-carry bucket make this the perfect toy for the young princess on the go. 18 pieces that are great for little hands!